Enjoy Istanbul photography and Turkey travel photography and fall in love with Turkey tourism. Visit Istanbul, Turkey. Istanbul and the mosaics of the Blue Mosque are spectacular for travel photographs. 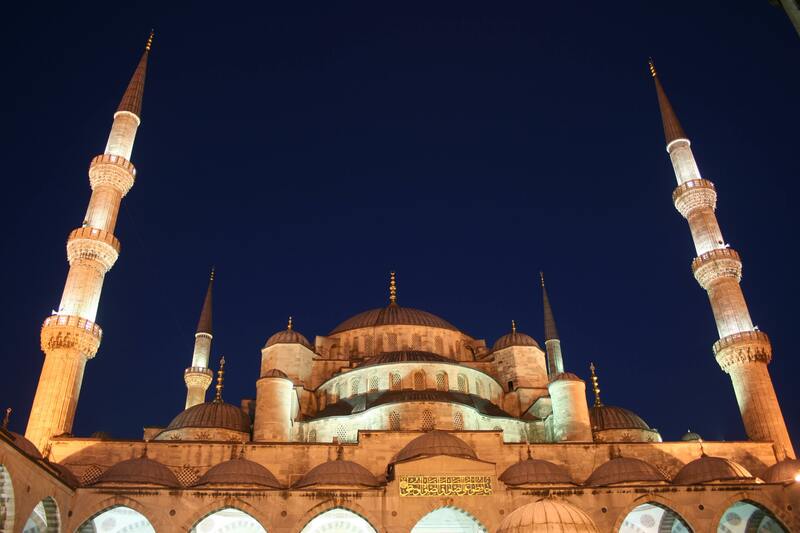 The Blue Mosque is one of Istanbul’s commanding sights. One must not forget to enter its sacred halls or walk amongst its beautiful courtyards.